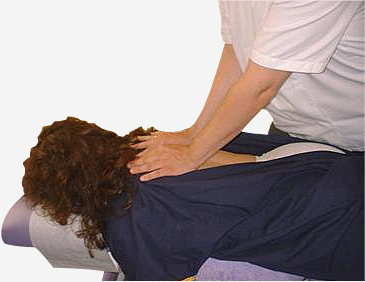 HomeAppointmentsDo you need Corrective treatment? The severity of the pain and disability you had when you came for your first consultation – was your pain mild, moderate or severe? Do you have weak supporting muscles? Have you had it before and if so how many times? If ‘yes’ are the episodes of pain getting more frequent and is the pain getting more severe each time? Are the movements in your joints normal? Is there any underlying structural damage or tissue changes? Are there other areas that have contributed to your pains e.g in back pain, poor hip, knee or foot movements? As a general rule of thumb, at the initial consultation the shorter the duration and the less severe your symptoms, the less likely it will require corrective/rehabilitative care and you will be more likely to return to normal activities quicker. However, for some patients who have just started to hurt the reality can be that the pain is the last thing to appear after many changes. Consider this tooth pain analogy – a hole can painlessly develop and get bigger over time. This tooth can ‘suddenly’ start to cause pain, but in reality all that was needed was a final small change in the tooth to cause the nerves to be affected and hurt. All the time the tooth was changing, very little or no pain was felt. Your mechanical body tissues can adapt to mechanical stresses placed upon them, so over time changes in tissue structure and joint function can occur without hurting – like the pain free changes to the tooth structure. Mechanical tissues can, like the tooth, ‘suddenly’ become painful. Corrective/rehabilitative care in these cases can be in your best interest to help improve/restore normal joint movement, promote soft tissue changes in flexibility and strength and therefore better functioning. Mobilisation/manipulations (adjustments) to the area you injured to further improve its movement and help restore its function. Mobilisation/manipulations (adjustments) to other joints above or below your injury may be required to improve their movement and help restore their function to help reduce any physical stresses on the area you injured. Specific stretching exercises to increase muscle and soft tissue flexibility e.g. rehabilitation stretching, Yoga-type exercises or Pilates. Strengthening exercises e.g. Pilates, weights, aerobic, anaerobic, stamina. If you do need corrective/rehabilitative care your continued improvement can often depend on each visit building on the previous one. As you can be feeling better you may be tempted to cut short your treatments, let your exercises lapse or ignore our previous advice at this stage, but we would caution against this. Why? Because you may not get as well as you could and curtailing your care early may predispose you to more trouble that otherwise may have been avoided. However if you decide to stop treatment we will of course welcome you back if you need us at anytime. So how often for corrective care? What is required? This is best discussed with your Chiropractor because it is dependent on so many individual variables.